Personality: Tristan, also known by his actual Heanta name, Bahamat, is currently an outcast from Heanta society, by his own choice. Unlike almost all of his kin, he holds the capacity for kindness, a thing looked down upon as weakness in his homeland. Because of this, he has had to face many trials, and tribulations in his time as a normal member of Heanta society. Due to this, he usually keeps his emotions in check, and never lets insults, threats, or the like bother him. As a result, he can come off as cold, and uncaring, even though the exact opposite is true, if you get to know him. Underneath the unemotional facade he has, Tristan is a kind, honorable soul, even though he finds it hard to trust others. He follows his own code, which he has never revealed to anyone. Mostly to protect himself from his kin. Once he left Kyrias, he was able to keep his unfeeling mask on, but still help others as he sees fit. He does hold onto the love of fighting that is a part of the Heanta make-up. However, Tristan is in control of this part of himself, and is able to gauge whether he could actually fight his opponent, or not. He will still get excited about a fight, if it's an opponent who can match him. Despite his somewhat long life, Tristan does not have any singular person he fully trusts. Even his former mate, Celaena, was someone who Tristan didn't fully open up to. While she knew about his penchant for kindness, the two never truly cared for one another. To Tristan, Celaena was an out to his miserable existence in Kyrias. To Calaena, Tristan was a strong mate who could sire her a child. Despite this, Tristan does show Calaena respect, anytime the two happen to cross paths. And he does not take threats to her lightly. She is still the mother of his child, after all. He also knows the Eldari Mage, Merlin. Though, the two have a very terse relationship. Tristan does not truly believe in the message Merlin preaches, but he acknowledges Merlin's power, back in the days of the war. His relationship with said daughter, Valatrix, is non-existent. Tristan left Kyrias right after she was born. He does have a spot in his heart for her, but, as of right now, he has never even seen her face. He wouldn't even really know how to react, if he did see her. All he does know, is that she shares his blazing red hair, and has no horns. Appearance: Tristan appears as a man in his early twenties, with pale skin, and a muscular, if thin, physique. He has blazing red hair, which is long enough to reach past his chest. He usually wears it with his hair framing his face, but styled more to the right. But he has been known to tie it up, in battles. He does have horns, they are small, and red, so they blend into his hair easily. He has softer features, almond shaped, and deep, golden eyes, that can also turn piercing, if he gets mad. His ears are pointed, and poke out his hair, if only a little. His claws are white, and pointed, and his teeth are bit more pointed than a normal Heanta's. His demon matrix is the black, scar-looking jewel, running from his throat, down to his abs. To a number of the other races, Tristan could be called handsome, but he truly doesn't care, as looks are not something that matters to him. 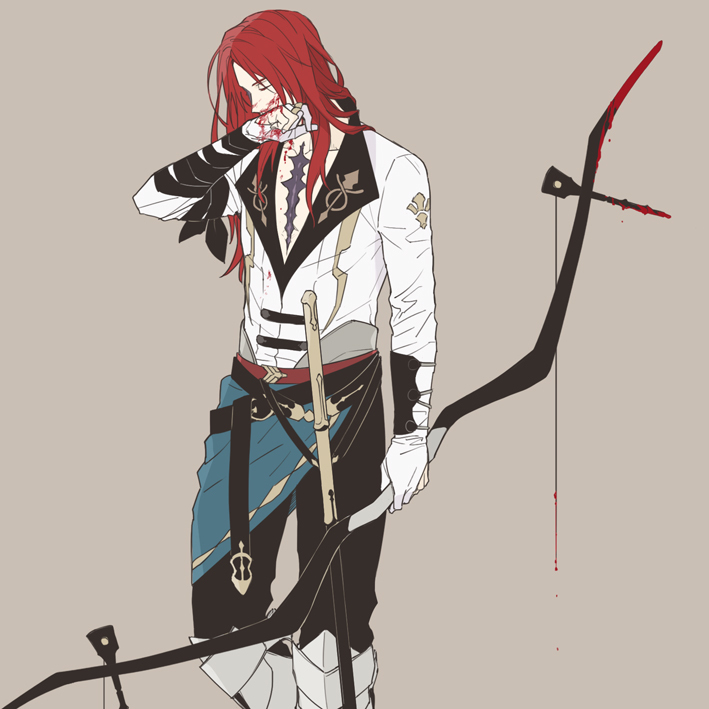 Clothing: Tristan's attire is somewhat simple. 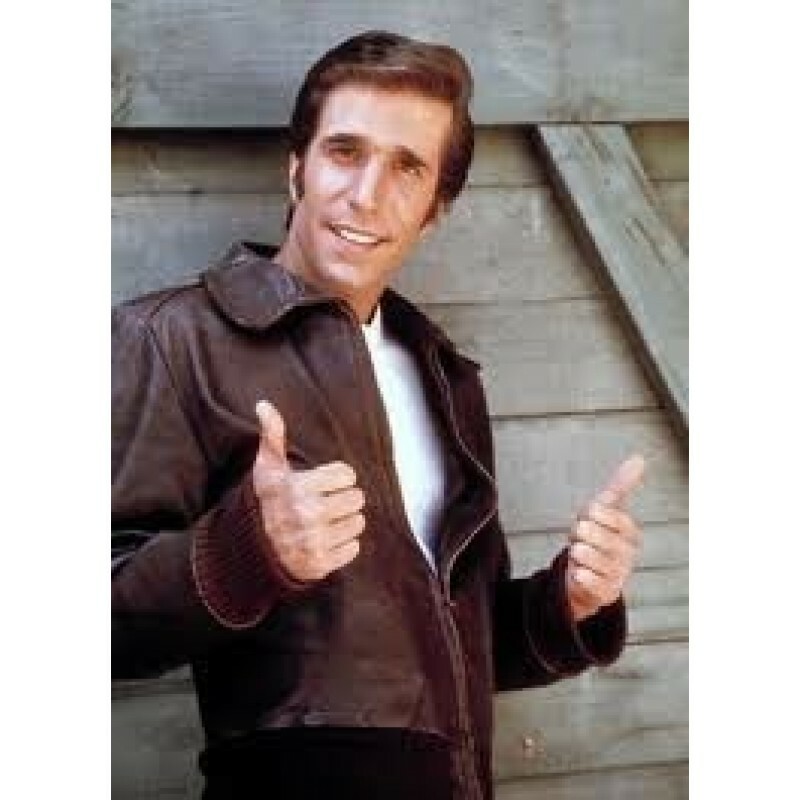 He wears a pair of black, leather trousers, and a white, leather shirt, modified to match his archer's way of fighting. The shirt's sleeves end in gloves, but the gloves have the ring, and pinky fingers cut out. The shirt has golden accents, and the inside is black, with a collar that is left open, to show his demon matrix. The collar has two symbols on it, which is Tristan's personal crest. On his left arm is a harder piece of leather, which protects his wrist from firing his bow. His right arm has black fabric wrapped around it, with a black armband tied on his upper arm. He wears several belts, a red one, which is actually apart of his trousers, and two more, which are black, with gold clasps. One belt hold his sword, and the other belt keeps a piece of blue fabric on the right side of his hips. The fabric has gold accents on the outer edge of t, and actually hold the crest to the Hornless Clan. Calaena gave this to him, in case he ever meets Vala, to prove that he was a member of clan Hornless. He wears a pair of black, leather hunting boots (ignore the picture), and he has two gold rings, on his right hand, on his pointer, and middle fingers. Over all of this, he wears a black cloak, with hood, for travelling. He generally carries his bow on his back. General Fighting Tactics: Tristan is a mid to long-range fighter. He generally fights with his bow, Fafnir, but he does carry a straight sword, and he has a bit of training to use it. He wouldn't win up against someone who extensively fights with a blade, but he can hold his own. But, that is if someone gets into close range. Tristan is best served as a mid-range fighter, who frequently moves around the battlefield to pepper his enemies with his magical bow, Fafnir. As a result, his accuracy while moving is higher than a normal bow-men. He is also effective at long range, but it isn't really his style. He can still hit a target, repeatedly, for up to 200 yards. Strengths: Excellent at mid to long range with his bow. Lower pain tolerance. Due to not being in the front lines as much as other Heanta, Tristan has a lower pain tolerance than most. Primary Weapon: The Magical Bow, Fafnir. Fafnir is a almost all black bow, at around 4 feet long. It has a white handle in the middle. It is made of Twilight Wood, and unbreakable. The bow is special, as it also known as the Unlimited Bow. The bow requires no arrows, and instead, every time the bow is pulled back, an arrow made of pure magical energy is made. The arrows act like normal arrows, in terms of speed, and have a Damage Category of Very Weak. Once the Arrows hit a target, they puncture, and dissipate. The absolute most that Tristan can fire is 10. If he reaches this limit, there is a 1 post cool-down until the bow can fire off again. 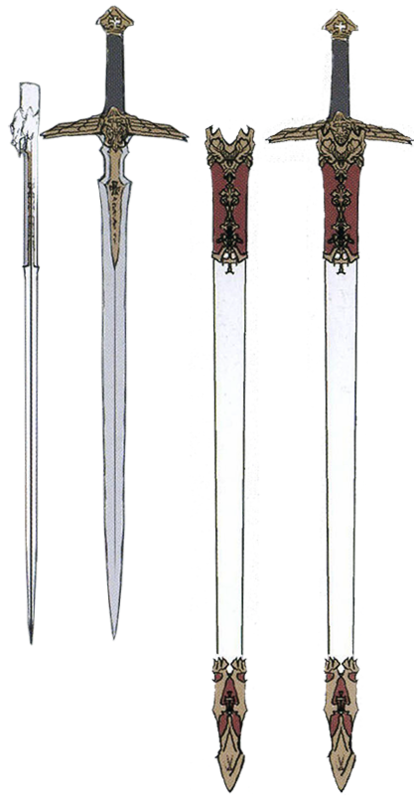 Secondary Weapon: The sword, Anduril. It is a sword made of Divinium, and was a gift from his former mate, Calaena of the Hornless Clan. It serves as his back-up, if an enemy gets in melee range. Demon Matrix Appearance: A black, scar-looking jewel, running from the bottom of his throat, to the top of his abs. Description: Tristan can cause his magical arrows to become lined with flames. Once he fires it, the arrows bursts into flames, and, if it hits the target, it will cause it to burn. The targets can put themselves out. The target stays alight for 2 posts, and Tristan can fire 1 before the cool-down. Description: A more powerful version of his normal arrows. Tristan can condense the magical power down, and turn his arrows into piercing arrows, that can go through armor much easier than his normal arrows. He can fire 2 arrows before he needs a cooldown. Description: Tristan makes an arrow, that, when fired, becomes a net made of magical energy. He usually uses this to capture people, in order to interrogate them, if he is going into a base, or something to that effect. Description: Tristan fires an arrow straight up, and, once it reaches its peak, it glows, brightly. This is a good ability for if Tristan gets split up from a group, or to light up a battlefield, and see better. Tristan was born to the Warrior Caste of Kyrias, and was originally named Bahamat. His parents were bowyers. As he was growing up, he spent the majority of his young life training and working in his parents bowyer shop. Due to the nature of his parent’s chosen profession, Bahamat found himself leaning more towards using a bow, even from a young age. However, he also found himself in possession of the one thing that Heanta almost never have: Kindness. Bahamat found himself able to feel bad for the slaves that were almost commonplace in Kyrias. When he asked his parents about why the Heanta needed slaves, he was simply told that it was the weaker’s place to serve the strong. However, it would not be his place to join them. His parents were convinced that Bahamat would become strong. To Bahamat, however, it was soon becoming clear that he was much the same as the slaves. Trapped, without any way to get out. He couldn’t place why he felt this way, but he would soon find out. As Bahamat grew, so too did his fascination with the bow. When he was old enough to actually start training with it, he soon learned that it complimented him quite well. He had a basic outline of what would become his style later on in life. Move from spot to spot, and keep opponents off their game. While he loved his skills with the bow, he wasn’t sure if he would ever truely use them. Amongst the youth in Kyrias, he was already considered “strange”, due to his aversion to violence, and was mostly left alone. However, no one would question him directly about it. The one child who did, Bahamat had beaten handily. Despite his aversion to it, he was quite a formidable fighter, when he needed to be. His skills in combat soon got the attention of another Heanta: Strax. Another Heanta born into the warrior caste. However, Strax was smaller than most Heanta, and often the victim of beatings from other, bigger Heanta. Due to Bahamat’s apparent skill, Strax sought him out, and offered him a hand in friendship. Bahamat knew of the smaller Heanta, nd had felt bad for him. So, in a move that he would come to regret later on, he took the offer. For Strax, he gained a bodyguard, someone who knew how to fight much better than he did. For Bahamat, though he didn’t realize it yet, he gained information. Due to Strax constantly stating how a “true” Heanta was meant to behave, this would give Bahamat a base to build off of, when he finished his Trial. When the time came for Bahamat’s Trial, it had been a few years of knowing Strax. However, behind his back, Strax had become afraid of how well Bahamat had gotten with his bow, and plotted to have Bahamat killed, during their Trial. The one thing in common for all those involved was reputation. By this point, everyone taking the Trial knew how good Bahamat was with his bow. There would be a good boost to the reputation of the one who could kill him. And so, on the day of the Trial, unknown to him, the plan was set into motion. The only things that Bahamat had on him were his clothes, his bow, and a quiver of arrows. The first minutes were easy enough. It seemed that the ones undertaking the Trial were working together. However, that all changed halfway into the Trial. As they reached the midway point, Strax made his move. He signaled the others, and, all at once, they attacked Bahamat. Caught unawares, the one nearest to him had managed to graze his chest with their sword. Moving fast, and without even thinking, he jumped back, notched an arrow, and fired it. The arrow struck his attacker, right between the eyes. Bahamat almost stopped right there, to think about what he had done. He had taken the life of one of his own. That slight hesitation almost cost him his life, as another Heanta ran at him, and got ahold of his throat. They both fell over, and Bahamat felt the breath leave his body from the impact. The Heanta continued to choke him, as another walked up. They drew their sword, and was about to finish him, when a female heanta grabbed the one not choking Bahamat, and drove a dagger through his neck. The sound distracted the one choking Bahamat, and he was able to grab an arrow from his quiver, and ram into, sloppily, into the Heanta’s neck. The wound sprayed blood all over Bahamat, dying his skin and clothes red. Pushing the body off of him, and gasping for breath, Bahamat felt the rage that was so common in his race wash over him. The others stared at him, and the woman who had decided to help him. He heard one of them whisper to Strax, “Isn’t that Calaena, from the Hornless Clan? She wasn’t apart of the deal!” Strax’s eyes met Bahamat’s, and he shrank away in fear. Bahamat looked at the woman, before saying, through gritted teeth, “You don’t have to help me. It seems I was their target. And besides, why would someone from a noble clan get involved with a lowly Warrior Caste like myself?” Celaena snorted. “I don’t think you should be questioning my decisions, Warrior.” She said to him before looking at the others. “Honorless dogs, attacking a single foe like a pack of mongrels. Lets see how you fair against two foes.” Bahamat grabbed a sword off the ground. He wasn’t sure if it was from the one he killed, or the one that Calaena killed. It didn’t really matter right now. For the first time in his life, Bahamat wanted revenge. He then threw the sword, incredibly fast, catching most of them off guard. In that time, he nocked an arrow out, and shot one straight in the head. Calaena took out two of her own, as the last one grabbed Strax, in an effort to bargain with the two of them. Celaena laughed. “The rat cost you your life. End him, it's the only vengeance you’ll have.” Bahamat spoke up as well. “If you really think that snake means anything to me now, you are dead wrong.” He got another arrow ready. However his rage had diminished by this point, and as the heanta threw Strax to his death, Bahamut reacted on instinct. He ran to the edge reaching out for the hand of the male who had betrayed him. Even as he did, the other heanta made to attack him, however he met with Celaena’s knife before he could get to Bahamut. Bahamut tried to convince Strax to take his hand. “Grab it. You’ll die otherwise.” Strax growled at him. “I would rather die than take the hand of the fool who tries to save the one who betrayed him.” Bahamat growled, and tried to grab him by force. Strax’s hand struck fast, and cut into Bahamat’s hand, a deeper wound than any he had received at the hands of the attackers. But, in doing so, he lost his grip, and fell into the magma waiting below. Bahamut met Celaena’s gaze, and she met him with a frown. “You left yourself open trying to help that rat.” She said to him. Bahamut shrugged. “He was my friend, once.” He replied sadly. Celaena stared back with veiled surprise. Then Bahamut said, “I hope you are not the next one to try and kill me.” Celaena smirked. “If I wanted you dead I would have let them do it, then killed them all after.” She said. “Anyway I have no idea who you are. Besides blessed by Na’kora to have me show up. Well, we should finish our trial.” They both left, and finished their trial. When they came out, anybody who saw Bahamat saw the blood all over him. It was then that he gained a nickname. Not a very creative one, but a nickname nonetheless. Bahamat the Red. Soon, the marching party came to where all of the other armies were gathering. It was here that Bahamat first laid eyes on the famed Eldari Warrior, Dalrodir Shor. Tristan could see almost immediately the reason that Ren found him a worthy rival. The man had a certain amount of inner strength in his eyes, that Bahamat instantly respected. He was informed of their orders for this fight. As Bahamat figured, he was with the archer regiment. He made his way with the rest of them to their post. Soon, the black form of the dragon appeared. Pulling Fafnir back, Bahamat let loose with an arrow, as the other archers also opened fire. They managed to bring Onyxus down to the ground, where their ground forces surged upon the black dragon. “Bring it down.” Bahamat said, watching it all go down. He saw the mages unleash their lightning bolt, charring the ground underneath the beast. However, despite all of that, the dragon still managed to break free, knocking their ground forces away. As the dragon reared back, looking at where the archers stood, Bahamat knew what he meant to do. He moved, his survival instinct making him move faster than he ever had before, as a powerful blast of fire hit the other archers, and mages. As he managed to get back up, Onyxus was putting his kin to to it’s teeth, and claws. Pulling Fafnir back, he unleashed a barrage of arrows, getting the dragon’s attention. Bahamat stared back at the beast, not fearing for his own life. That was when Calaena struck. She got onto the head of the dragon, and managed to stab the dragon in the right eye. As she did, Bahamat could feel that he couldn’t fire any more arrows, even though he had no idea where that idea came from. He watched, as Dalrodir protected Calaena, and Onyxus flew away. After the fight, when the Heanta force came home to Kyrias, Roth almost had the warriors who had no clan killed for disobeying his word. However, Calaena rewarded the handful of surviving Warrior Caste who had risked their lives with her by bringing them into Clan Hornless, not only to protect them from Roth but because they deserved it. None of that really mattered to Bahamat. He had his new weapon, and he was determined to figure out how it worked. While a member of Clan hornless, he soon figured out that, while he had no need for a quiver with this new weapon, he could still only fire a certain number of arrows, before needing a break. He also came up with spells, that changed the make-up of the arrows, to suit various needs, as Bahamat needed them. As the years went on, he gained a new nick-name, to go with his original one. Bahamat, the Blood Ranger. As the years went on, Bahamat again gained a reputation of completing any missions given to him masterfully. However, as time went on, a crazy idea popped into his. One could almost call it a “dream”. However, Bahamat knew that this idea would never happen, and so buried it, as he had buried his emotions, a long time ago. And so, life went on. One day, as he was practicing a little bit with Fafnir, he was approached by someone he wasn’t expecting. Calaena came to him, to discuss something. As much as Bahamat didn’t care for the leader of his Clan, he did have to admit He respected her. She did surprise him, however, with the purpose of the visit. She was quite upfront about it. She wanted to take Bahamat as a mate, to sire a powerful child. It took a second for Bahamat to truly grasp what she had just asked him. “A child? Why would you want a child?” He asked, visibly confused. “I have my reasons, but I also nearly died fighting a dragon. I doubt my father would be pleased to learn I left this word without a true heir to the hornless clan.” She explained. Bahamat thought on the matter for a few minutes, before that idea popped back into his head. It was a long shot, but Bahamat knew that if anyone could do it, Celaena would be the most likely. “Very well, though I am surprised you asked me. However, I do want something in return. I want out of Kyrias, with no one to follow me. I don’t care how you do it, say I died, say you sent me on a mission. It does not matter to me.” Celaena shrugged. “Fine. As soon as the child is born, I’ll get you out of here.” She said. “Just don’t get attached. I don’t need a mate hanging around all the time.” She continued. But she smiled slightly. “That being said, we might as well enjoy ourselves.” And so, the two took each other as mates. During this time, they went over how Bahamat would leave Kyrias. It conveniently worked out, as the plan neared completion, Celaena had become pregnant. The next nine months were hell for Bahamat, as he had to compete with one of the more powerful Heanta, who had become 3 times as aggressive. However, at the end of it, a new Heanta was born. Valatrix. And it was time for Bahamat to leave. They moved out at night, under the cover of darkness. 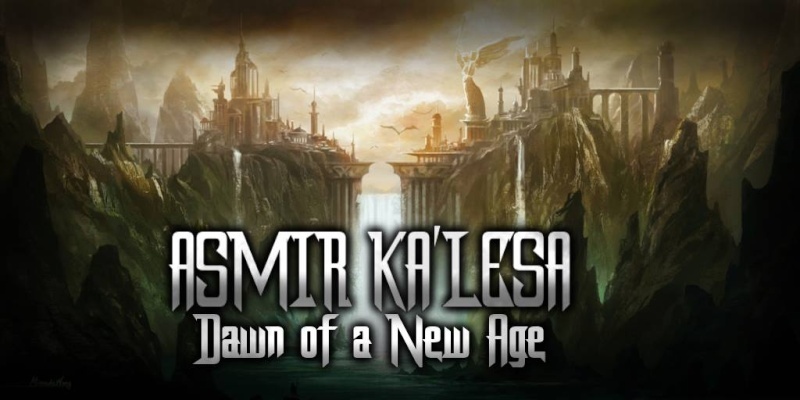 They left Kyrias, and moved far enough away from the city, where no one would bother them. Bahamat thanked Calaena, but before he went, she gave him two gifts. A piece of fabric, inscribed with the symbol of Clan Hornless, in case he ever met his daughter. Which was unlikely. And, a sword, made from Divinium, called Anduril. With these gifts, Bahamat left Kyrias, and left his homeland. And, unless something were to happen, he was not going to return. The years since then gave him a sense of freedom he had not experienced anywhere else. Even though he could freely be the man he wanted to be, years of living under an emotionless mask had left him keeping this side of him up, even as he helped those in need, at his whim. He also took a new name: Tristan. He moved around alot, seeing many things, but he soon found a home in the Freelands, in a forest near the far side of the river, a place called East Undine. He built a small cottage there, and this is his main base of operations. Even if he is gone for days, he always returns here. It had been 40 years since he left his homeland, and now, something stirs in his blood. The world seemed to moving towards more violence, and Tristan decided that he would stand against this. He is still making his plans at his home, before heading out. RP Example:(Give us an example of your rp style. Note, you only need to do this for your first character. Approved. I think this is worth A-5.